If you're migrating your contacts from a legacy platform you can export your contacts, copy the columns over to match the one below and bulk import saving you time and headaches. 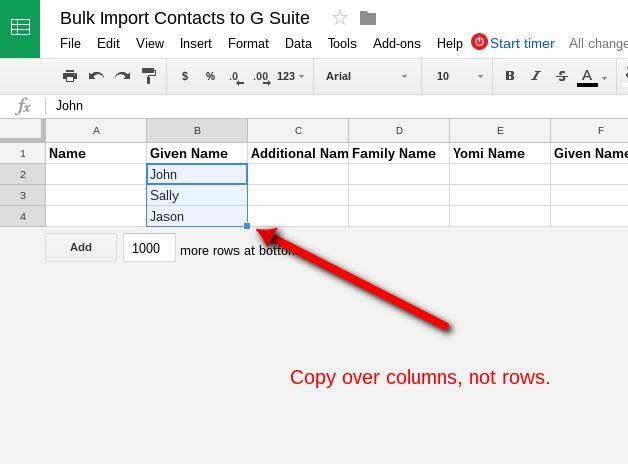 Once you make a copy of it, copy the column data from your legacy export and match them to the columns in the template as the order and names of your export fields are most likely different. Copy the columns over one by one, not rows. 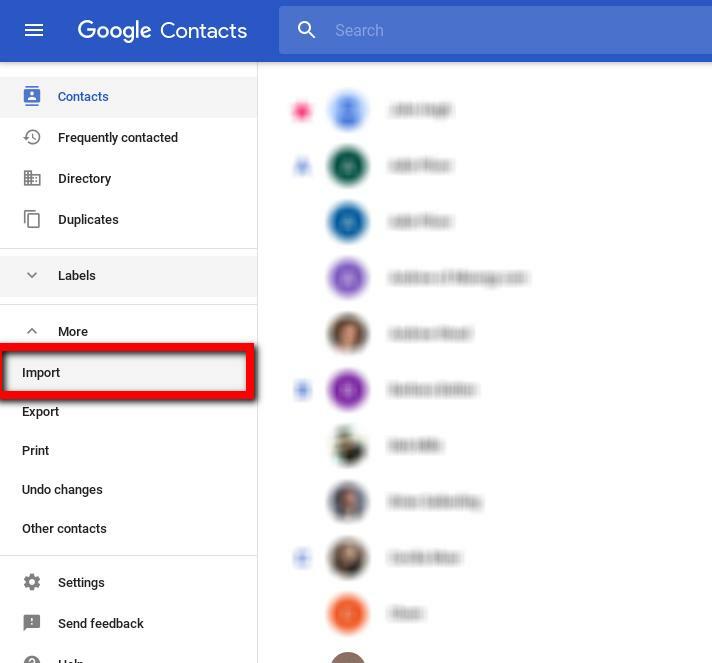 In your Google contacts scroll down to the Import option and follow the prompts.